Glenmorangie has summoned Open Champions Sir Nick Faldo and Tony Jacklin; Robert Trent Jones Jr, a legendary course designer; and David Cannon, one of the world’s best photographers, to give their opinions on their personal favorites. Listen to what they have to say here. 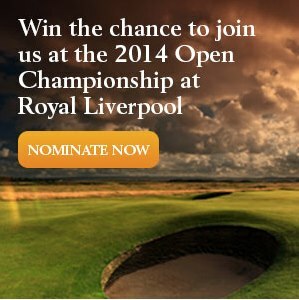 Nominate your most “Unnecessarily Well Made” golf course for a chance to win a trip with Glenmorangie to the 2014 Open at Royal Liverpool. Be sure to share your favorite course with us here and see what everyone else chose!